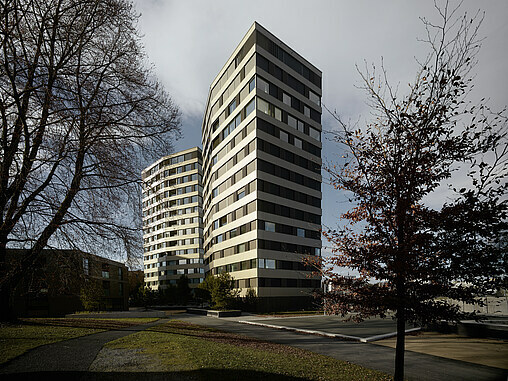 As a leading Swiss metal and façade engineering company with 50 years of experience, Krapf AG implements entire building shells with the air-lux system. 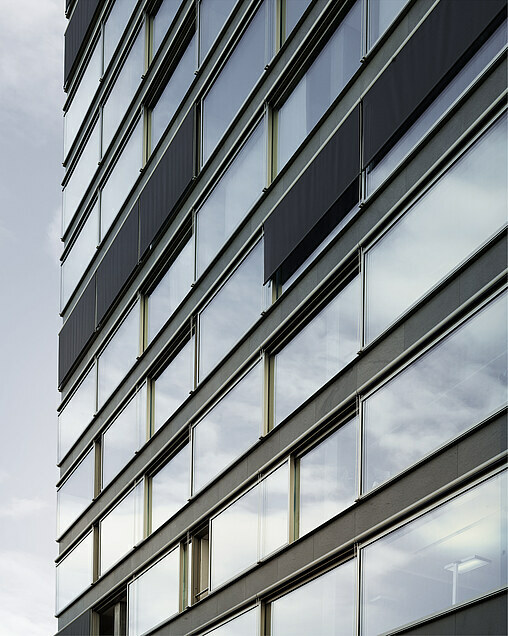 air-lux can easily be combined with system profiles and, thanks to its 100% impermeability, is also perfect for high-rise construction. 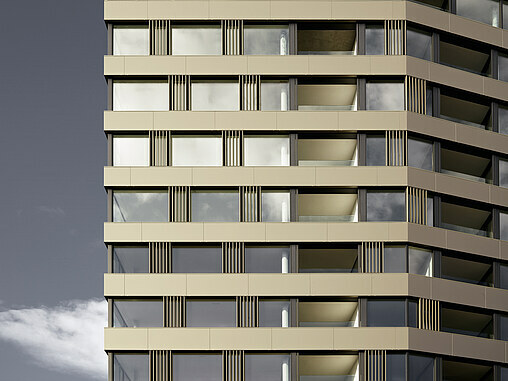 One example is the 56-metre-high building B125 in Zug, the first high-rise residential building in Switzerland with a sliding window façade: 18 floors have been enhanced with 136 horizontal, pneumatically sealed sliding windows from air-lux. 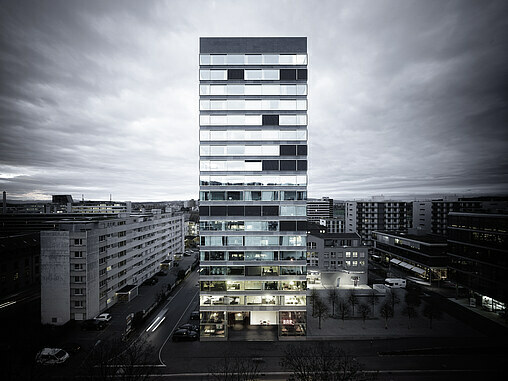 This innovative façade solution with a combined glass-stone façade including exterior shade was developed and built by Krapf AG with the Zug-based architecture firm Philipp Brühwiler.